Prepare yourself well for your recording session- time flies! If you are looking forward to the recording of your first demo, you need to prepare yourself ahead of time. After all, you are not just going to walk into the London recording studio, play your song once perfectly, then walk out. All of this is very important to take into consideration and you need to know what the recording process consists of. 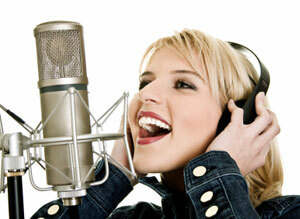 This way, you are better prepared and can tackle your demo recording head on. Before heading to the London recording studio, make sure you have a good night sleep. Many individuals are extremely anxious when it comes to their first recording, as being in a studio is just something completely different and unique. However, you need to calm these nerves and make sure you sleep well the night before. If you don’t, it is easier to forget lyrics and chords, not to mention your voice might be well rested either. When you are excited you might not eat. If you don’t eat you are more likely to lack energy. You are going to be in the studio for a good amount of time, so you need to be ready for the duration. If you don’t eat you might become light headed at the very least, which can seriously compromise your studio time. It’s your money as you are paying for the recording time, so you need to make sure and eat before or during the session. You are going to be in the studio for a good amount of time. Inside the studio, you probably have reserved it for a block of time. Chances are, you are going to use up this entire block of time. Do not expect to leave early or for you to get everything in one take. Besides, when you are paying a good amount of money for several hours, you want to make sure everything is perfect. Unlike the days of old, every single instrument is recorded separately. This is so there is a clear track of each instrument, making it easier to mix later. If it is just you and a guitar than it is a bit easier, but for larger bands, it can be difficult. While you can use other instruments to accompany you when you play, typically one is recorded first (such as the drums), and then you record additional instruments while you listen to the beat of the drums. This also allows you to cut parts of different takes and thread them together. Bring plenty of water. While there is usually water on sight, you need to have this at your disposal. You are going to become horse after singing for hours at a time, so keep your voice perfect by staying hydrated and keeping water on hand. Just make sure to bring everything you need for your recording with your water as well, just to make sure you are covered. © 2019 Mews Productions. All Rights Reserved.